At Love You Tomorrow, we like to focus on jewelry designers and makers who have put a unique spin on the art of creating. Today, we’re going to shine the maker spotlight on Hungarian craftswoman Zsuzsi and her shop Bold Color Glass. While her creations are simple pieces of fused glass, they’re bold and colorful, which is likely how she decided on the new name of her shop. It had previously been named Panyizsuzsi, which Zsuszi said is hard for people to spell. It’s not hard to see why the business is thriving, though. She makes beautiful pieces of bold glass jewelry by hand in her studio. With the name Bold Color Glass, she picked powerful words that precisely describe her chosen aesthetic. In Zsuzsi’s home attic studio, she takes sheets of glass, cuts them based on the design she has created herself, and shapes them into the jewelry creations seen in her online shop. After a few years in business, she has help to create the finished product you’ll see in her shop, but the origin of the design comes from Zsuzsi’s creative vision. You can see her exact process in a video she’s done for YouTube. We’re always fascinated with a jewelry designer’s process from start to finish. Zsuzsi’s Story: How Did She Get Started? While she’s been around glass her entire life, her father was a glass industry engineer, she began her career after school as an architect. During her schooling, she did study and research glass for her degree. After the birth of her children, she decided that large projects weren’t allowing her to spend time with them. With this in mind, she shifted her focus from large architectural projects to smaller jewelry projects. As a hobby, she started making the fused glass jewelry, but then found herself creating as a side business. A year later, it became her sole business, and she hasn’t looked back. The designer says that she doesn’t think there’s much of a difference in what she does now compared to the work she did as an architect. All that’s changed is the scale of her projects. She started her business in 2007 in a spare room of her home in Hungary. For over 4 years, she was the prime worker in her studio. She was the coder, designer, creator and marketing department. She sunk all her income back into the business for years. She now has a team with assistants and jewelry creators working from her studio. In 2011, her business outgrew the spare room of her home. She wanted to stay home with her family and build a sustainable business, so she opted to build up into the attic of her home for her studio. In a local competition, she won the money for her expansion. It completely fits the needs of her business as well as her team. 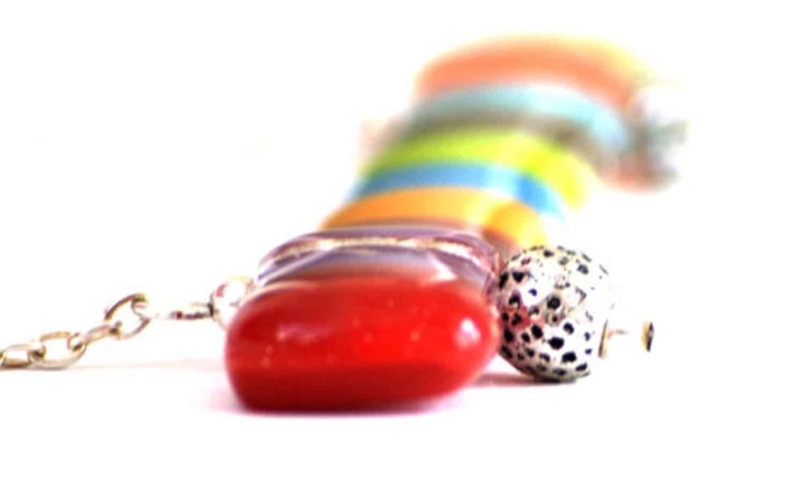 Bold Color Glass creates handmade silver earrings and stackable rings. Glass necklace pendants and even belt buckles are on the list of their jewelry creations. All of the designs she creates are simple yet bold and bravely colorful. She loves creating vintage-inspired modern jewelry from sheets of glass. Zsuzsi’s a huge advocate for the working mom, and her entire team is made up of mothers. While she works full time from her studio, other members of her team work part-time or per project based on everyone’s needs or the project. This has to be a boon for working mothers who are trying to balance work and family. Along with winning the award from the Make Your Dreams Come True competition that funded her attic renovation, her business won the PAKK award for packaging design in 2010. 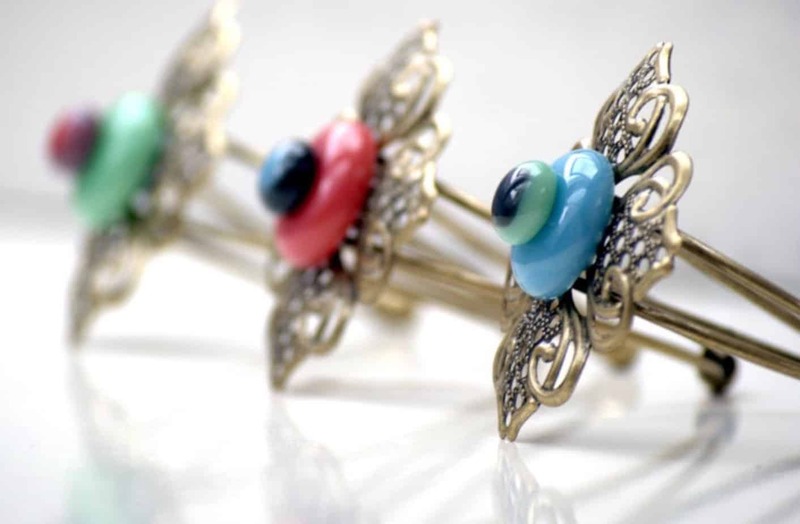 While you’d expect a jewelry designer’s blog to be filled with her own creations, this blog is surprisingly eclectic with many beautiful snippets from Hungarian life like recipes, colorful outfits that match her jewelry, personal projects and conversations with other artists. She works on the blog with Reka who was brought on as a contributing author in 2013. We’re always happy to shine a spotlight on makers with a unique outlook and aesthetic. 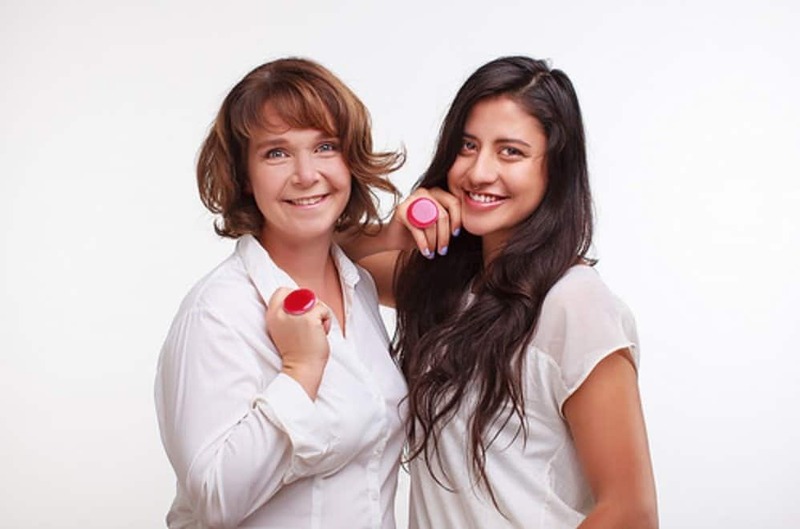 Her bright, bold glass creations really inspire us, and we hope that you’ll feel the same about her jewelry designs. You can find Bold Color Glass on Etsy, blogging on boldcolorglass.com or Facebook if you’d like to connect with her.